The Carrick-a-Rede Rope Bridge has been intriguing visitors for years with its stunning views and thrilling suspension bridge that you can cross. The Carrick-a-Rede Rope Bridge spans 20 metres (66ft) and is 30 metres (98ft) above the rocks and water below and connects the mainland with the little island of Carrick-a-Rede. Salmon fishermen have been building bridges to the tiny island for over 350 years. Over the years, the bridge has been made a lot safer for tourists around the world to cross safely. If you’re afraid of heights, don’t look down. This bridges swings, sways and bounces in the wind with every step you take, all while dangling high above the wild Atlantic Ocean. Once you’ve made it across the bridge, you’re rewarded with amazing views of the mainland cliffs and the turquoise waters of the Northern Atlantic Ocean. 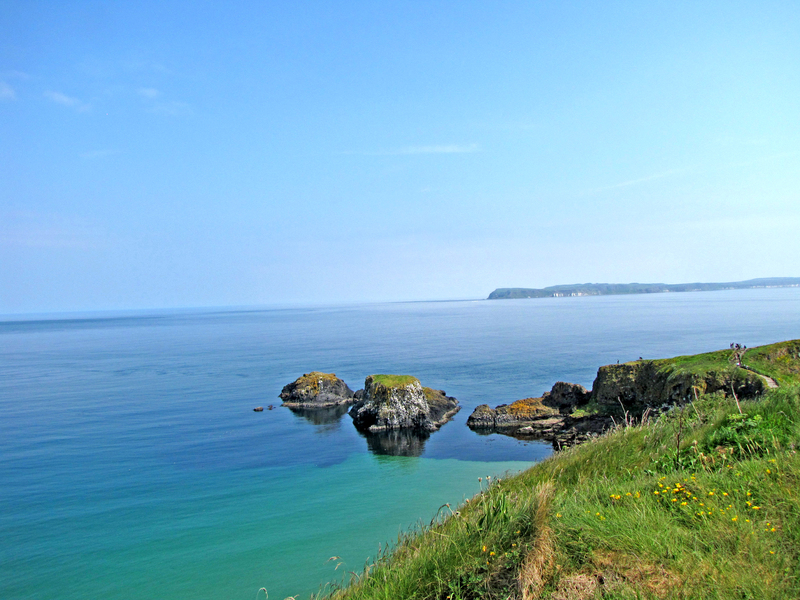 On a clear and sunny day, you’ll get bright blue skies and gorgeous views of the Rathlin and Scottish islands. 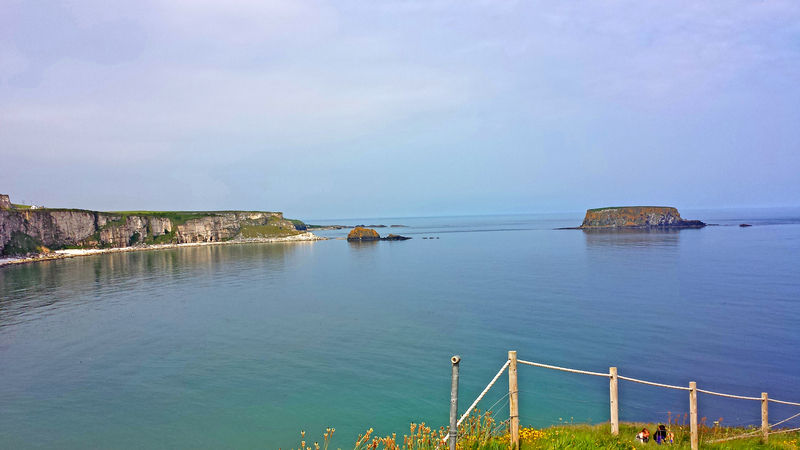 To get to the bridge by driving, make your way to Ballintoy in Northern Ireland’s County Antrim. 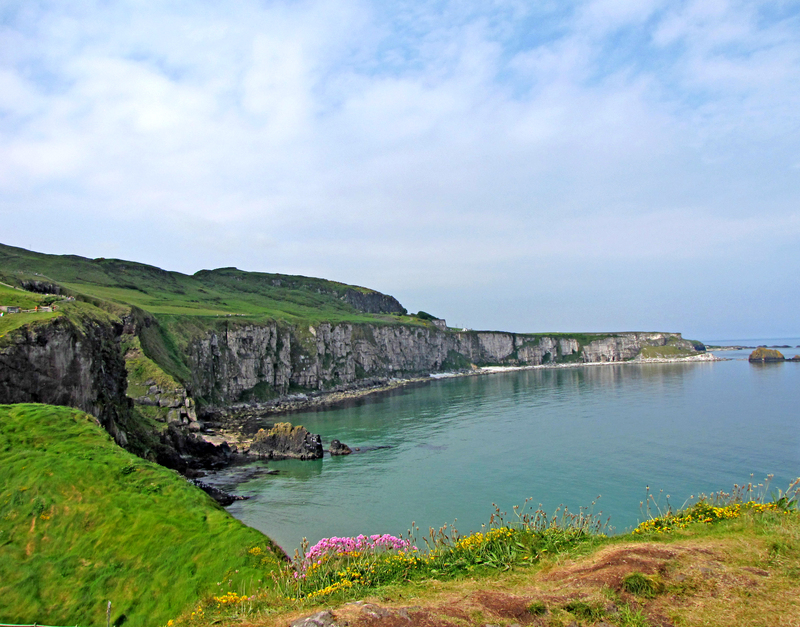 Carrick-a-Rede is on the Causeway Coastal Route and is located approximately 10kms west of Ballycastle (B15). From the parking lot, you’ll pass a ticket booth and follow the easily accessible walking path all the way to the bridge. 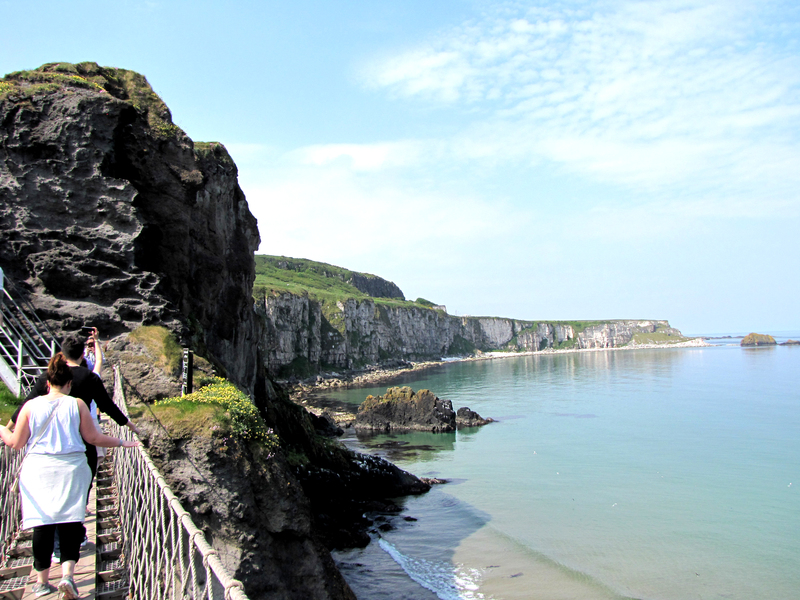 Once you show your ticket and proof of purchase at the foot of the bridge, you will be granted access to cross the rope bridge, which connects the mainland to the small island of Carrick-a-Rede. Due to the influx in visitors over the last year, there have been new measures put in place by The National Trust, which owns, operates and maintains the suspension bridge. As of April 2017, visitors must purchase timed tickets in advance, which are only usable for the day of purchase. My guess for why they instilled the new rule is probably to keep the flow of people moving across the bridge, as I know when I visited, there was a slight wait to cross, due to the amount of people that all arrived to the bridge at the same time. Plus, you do get a few wobbly legged folk that cross very, very slowly…especially when the bridge starts swaying. For more information, check The National Trust website. 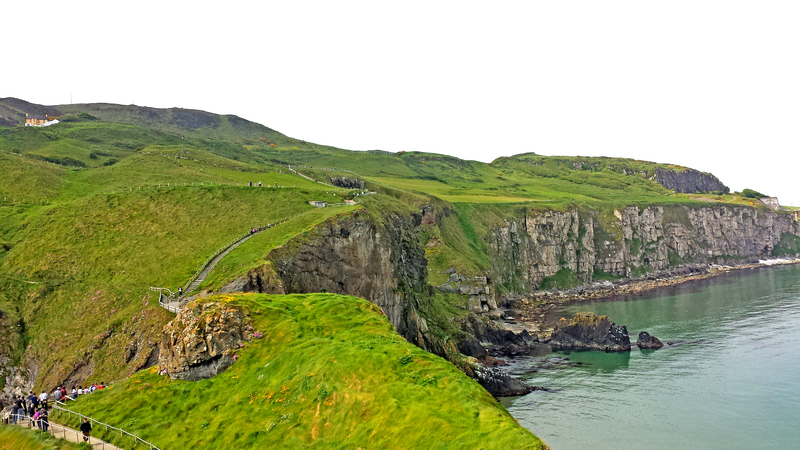 Visiting the Carrick-a-Rede Rope Bridge was definitely one of the highlights of my trip. Gifted with gorgeous, sunny weather all day made for an amazing hike and some pretty incredible photos. Everything from the scent of the ocean wafting through the air, the sound of the gentle breeze that swept over the cliffs, the sight of the enchanting views of the emerald hills dotted with pink and yellow flowers and turquoise waters below was pure perfection. 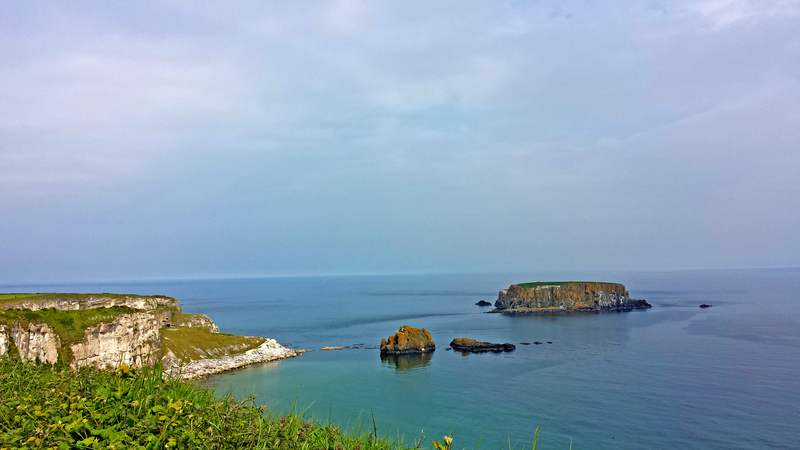 If you ask me, Northern Ireland doesn’t get enough attention when it comes to gorgeous scenery. 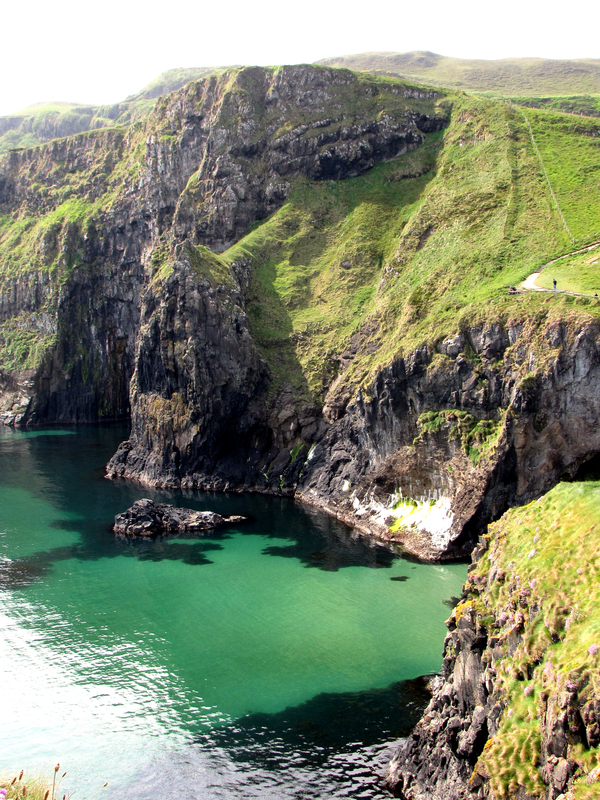 Taking the time to visit Northern Ireland may just be the best thing you do during your entire trip. 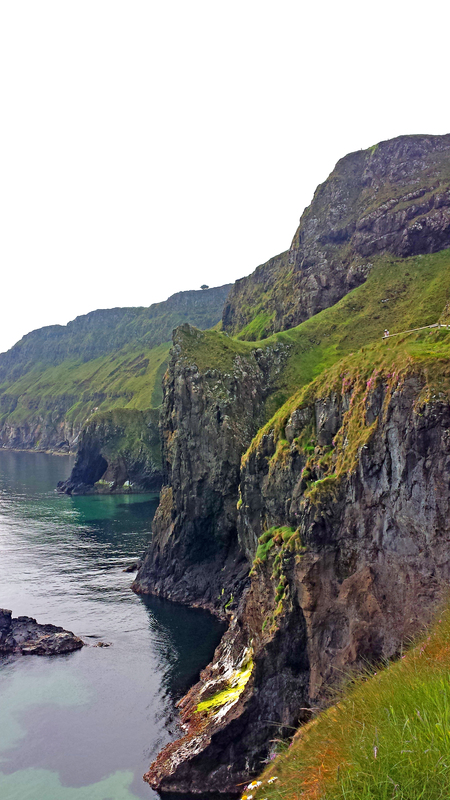 I travelled to the Carrick-a-Rede Rope Bridge via private coach and a tour group that I booked through Viator.